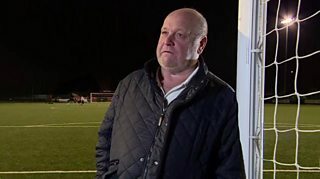 David Reader, chairman of Bedfont Sports Football Club in Middlesex, wins the BBC Get Inspired Unsung Hero Award for London. After the local vicar approached him 33 years ago and asked him to coach football to the local boys, David has devoted his life to the sport as a volunteer - coaching and managing children's football teams. As chairman, he has also raised more than £2.5m for the club. Visit our special guides for how to get into football or volunteering.